Mirage is a Calgary landscaping company that works through all four seasons. During the winter we perform snow removal services for commercial and residential clients. In the spring we are busy with clean up services including power raking, aerating and fertilizing. During the summer we are keeping up with mowing and trimming your grass weekly and keeping your gardens free of weeds. And come fall it’s time to trim your shrubs tackle all of the other jobs that you may have pushed back in favour of enjoying your outdoor space as long as possible. The soil is still warm from a long, hot summer, so plants can settle in, then the crisp fall air entices roots to dig deeper into the earth. Fall tends to have optimal precipitation levels for plant growth. Rain is best for plants as it contains ozone, which they love. Nurseries and gardening stores often hold seasonal sales in the fall. Threats from pests and common plant diseases recede as the weather cools. Sod is also safe to put down well into the fall. If we manage to stave off the first frost for next few weeks and the weather stays relatively warm, the month of September is perfect for planting. Many think that cooler temperatures mean pests can’t survive, but many different types are perfectly capable of overwintering in extremely cold temperatures. Oystershell scale is prevalent in Calgary right now, and it’s targeting cotoneasters and apple trees specifically. These bugs can easily last through a cold Calgary. If you see oystershell scale, give us a call and we will come treat it, and then come again in early April for the best results. Fall is also a great time to spray for ants. Concrete cures very well in fall weather, and the shorter days and lower temperatures make it a better time than summer to tackle an outdoor construction project. Fertilizing in the fall helps your lawn store up the vital nutrients it needs to get through the winter, and come back next spring green, full and healthy. It’s especially important to “feed” your grass in the fall, because the arrival of cooler weather automatically triggers a response that tells your lawn it’s time to get ready for winter. During this state, your grass instinctively tries to recover as many nutrients as possible from the environment. Spreading fertilizer adds those nutrients back in to your lawn’s ecosystem. 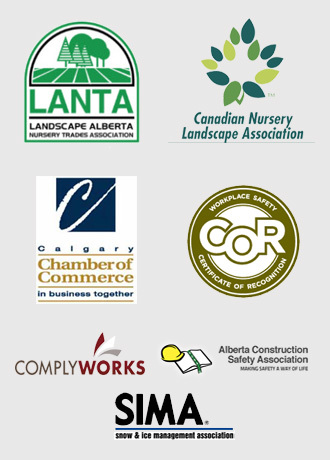 Mirage Landscaping is a family-owned Calgary landscaping and property maintenance company, proudly serving both residential and commercial property owners. Whether you want a general fall clean-up or want to use the last weeks of warmer weather to take care of that construction project or landscape overhaul, we’re here to help. Our services are affordably priced, and you’ll be surprised how little it costs to enjoy the many benefits of professional service. In addition, Mirage Landscaping provides reliable and cost-effective snow removal services. Winter will be here before you know it, and our snow management crews have all the skill and equipment you need to keep your property safe and free of snow and ice. 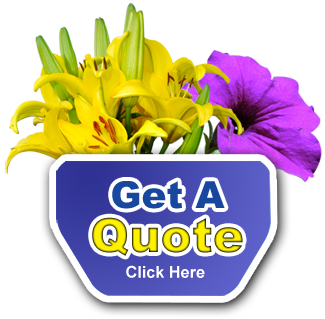 Get started today by requesting your free, no-obligation custom work quote. Our customer service team is also standing by to answer any questions you may have about our complete suite of landscaping services. Your Southeast Calgary Landscaping Experts Build Patios Too!